After a day or so of general discussion, GuardianAngel will begin to post her wonderful screencaps and narration of the events in the episode. At that point, the episode discussion will run as it has in the past-- the screencaps are intended to spark discussion and comment, and as we move chronologically through the episode, we hope you will come back again and again to look, read, and respond to the comments you read here. Episode Title: "Love Lasts Forever"
Synopsis: Mick and Beth attempt to rescue Josh after he is kidnapped by a vindictive drug lord. At the end of Sleeping Beauty, Beth went back to Los Angeles, determined to make things right with Josh. And she tries--she really tries. Meanwhile, Mick is working out ('scuse me) and sounding remarkably hopeful about the chances of making things work with Beth. But everything's about to come crashing down, including Mick's determination not to enjoy the destructive power at his command. For me, the theme of this episode is upheaval and catastrophic change. Everything breaks here: Mick's hopes for finding out how the Cure works are dashed when Coraline disappears, and her blood turns out to contain... nothing?! And then he breaks the vial of blood as well. Beth's hopes for making a go at a "normal" life with a "normal" guy are destroyed, first by her knowledge that she simply cannot keep pretending to adore a man whose touch she can barely tolerate, and then when Josh is killed (in a shocking and heartbreaking scene that was Emmy-worthy, in my opinion). Beth's trust and respect for Mick are shattered when he does everything humanly possible (but no more) to save Josh. Mick won't turn Josh, but he sure does unleash the vamp in another way. The scene with Bustos, and later in the bar and Tejada's office, is just amazing. Here's Mick as we've never seen him before: brutal, totally in control, and out for blood, as only a vampire can be. But this, too, is part of the theme. Mick's determination not to revel in his vampirism has been broken, too. And later, when he goes to see Beth after that bloodbath, she says things to him (in her grief and shock and...guilt?) that are really unforgivable. Mick's left wondering if he can preserve any sort of relationship with Beth at all... and if he's lost Beth, how will he go on living? At the end of this episode, I was left with tears in my eyes and a lump in my throat-- and a horrible, sinking feeling that I had no solid ground under my feet anymore. And neither did anyone else. My fave episode and I'll actually be home tonight to watch it!!! WAHOOOO!!! Well I am personally grateful to Alle for these threads, as I never remember ML Thursdays until she posts. Bad fangirl... bad, bad fangirl. wpgrace wrote: Well I am personally grateful to Alle for these threads, as I never remember ML Thursdays until she posts. Sweetie, I sort of fail to see how someone with your post count here...can be a bad fangirl. Very pivotal in many ways. Just a personal observation, but I was just rereading our incomperable Lilly's entry in last month's champaigne challenge, Killing Time. She writes about the bar scene at the end. If you have not read her fic, please --do yourself a huge favor and read this. Rich and multilayered as all of Lilly's pieces are, this is a delicious exploration of Mick's actions in this scene. You will watch the scene with an entirely new appreciation. Looking forward to this one as well as I think Alex, Sophia and Jordan really shone in this episode. Each of them display such a range of emotions, from one end of the spectrum to the other....and the end is just so incredibly heartbreaking. Even so, it's one of the finer moments for both Alex and Sophia. Had to fight back some tears while watching the death scene and the ending. Mercy, this show. STILL affecting me after having seen it a trazillion times. But, not bad timing, right?? The music in the scene where Josh is dying is wonderful. I think it is called "Saving Josh" and it is repeated in FTP. However, it wasn't until I saw FTP that I really paid attention to the music - for whatever reason I didn't notice it as much when I saw Love Lasts Forever the first time. Mick really does everything humanely possible to save Josh; Beth is hurtful to Mick at the end, but I wish he would have said something different to her when she asked if it was her, would he have done the same thing? They both hurt one another to some extent in this episode, but as the saying goes, "you always hurt the one you love." Great episode. I totally agree with Wondergirl. Quality is quality and the magic remains. There is one point that has bothered me about the scene when Mick and Beth arrive at Griffith Park to rescue Josh. Beth does exactly the right thing to prevent the other car from escaping and Mick does this vampire superhero thing, but by the time he was finished, both of those thugs were unconscious on the ground and nowhere near the car. Then, when the trunk is opened and the tape is pulled off Josh's mouth, one of the bad guys is back in the car, gets the gun from glove compartment and shoots Josh. I've watched that a LOT and it just does not compute. Always bothered me as it detracted from the scene that came after, where Mick tries to save the life of his romantic rival--an intense, emotional scene where three of the major characters really showed their acting ability. 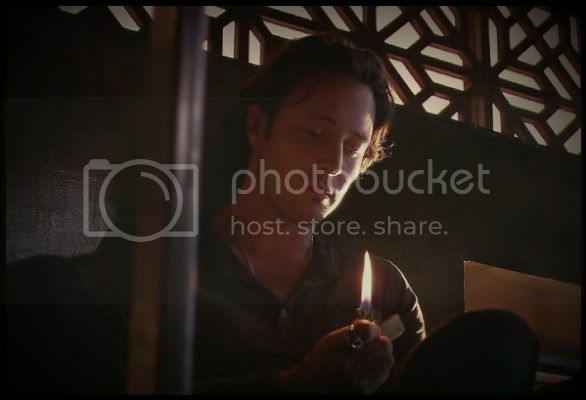 That scene, and the scene with Sophia and Alex where Mick comes to Beth's apartment to talk to her. 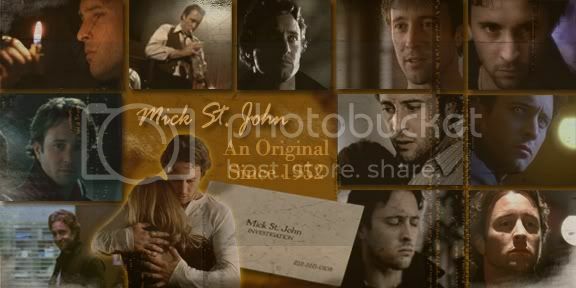 She is submerged in her grief, and perhaps a bit of guilt, as well, and lashes out against Mick, are like two of the most superb examples of acting I have seen in a very long time Alex O'Loughlin is an amazing actor, a true craftsman, but surpassing the acting he did as Mick will not happen every day. The same can be said of Jason Dohring's portrayal of Josef, Sophia Myles' portrayal of Beth and so on, I do not say this in any way detracting from their skills in their chosen craft, but to point out how rare and special these roles, this ensemble and show was. Mick's in an incredible bind when Beth asks him whether or not he would have "saved" her. If he says "no, I would have Turned you", it says to Beth that Josh isn't worth saving, but she is. It cheapens Josh's life. As it was, it had to be the most painful thing in the world for him to tell her that he would have let her die as well. I honestly think he didn't know what he would do should he be faced with Beth's demise. Mick didn't see Turning Josh as "saving" him - all he saw was leveling the same curse on Josh that had been leveled on him. Mick wouldn't have taken Josh's choice away any more than he wanted HIS choice taken away, and Josh was in no condition to agree to becoming a vampire. 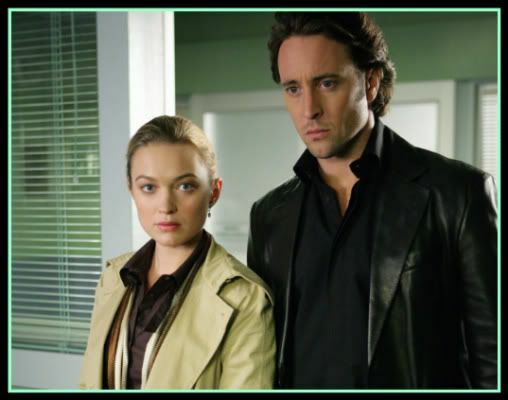 Once again, Beth can't see past the positives of Josh being a vampire, and Mick can only see the negatives. jen wrote: There is one point that has bothered me about the scene when Mick and Beth arrive at Griffith Park to rescue Josh. Beth does exactly the right thing to prevent the other car from escaping and Mick does this vampire superhero thing, but by the time he was finished, both of those thugs were unconscious on the ground and nowhere near the car. Then, when the trunk is opened and the tape is pulled off Josh's mouth, one of the bad guys is back in the car, gets the gun from glove compartment and shoots Josh. I've watched that a LOT and it just does not compute. What also bothers me is that after Josh is shot, Mick KOs the thug that did it, but a few minutes later, Carl leads the thug away in cuffs. Later, same thug is in Intensive Care, as he should be after the way Mick KOd him. Jenna, as I see it, Mick gets out of the car, jumps over the trunk and gets shot by Huerta. Mick then disarms Huerta next to the open front door of the blue Lexus, and slams his head on the roof of the car to knock him unconscious. He then shoves him down into the front seat. As far as I can tell, Huerta lands exactly in the same spot where he comes to and goes for the gun in the glove compartment. Must have just not watched closely enough.